Pave the Way Foundation co-sponsored this exhibit with the Center for Interreligious Understanding and the Museum of Jewish Heritage. 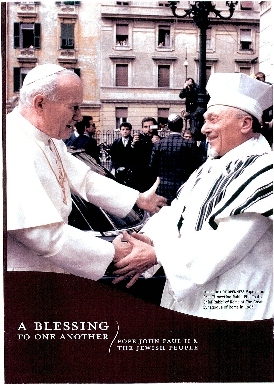 September 6, 2006 through February 23, 2007, the Museum of Jewish Heritage in New York City will host an historic exhibition: "A Blessing to One Another: Pope John Paul II and the Jewish People." Celebrating Pope John Paul II's contribution to repairing and strengthening relationships between members of the Catholic and Jewish faiths, this informative and inspiring exhibit includes photos, video footage, documents and priceless artifacts. 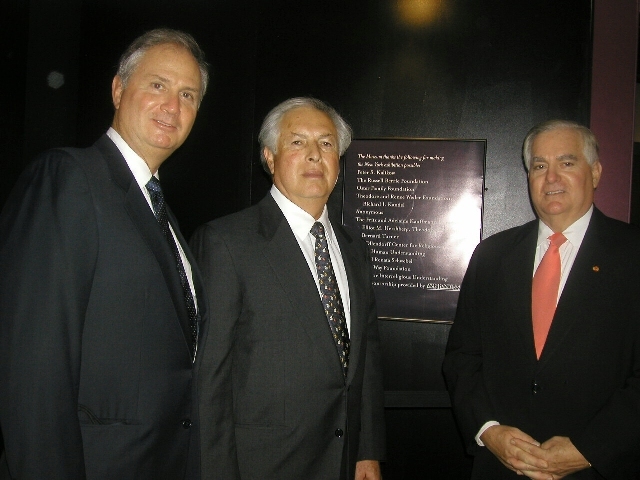 The exhibit opened to rave reviews in Cincinnati and Washington DC, serving as opportunity for people of different faiths to come together and understand what Pope John Paul II did to improve Catholic/Jewish relations and hopefully to recognize what we all can do to carry forward his work of increasing understanding and tolerance between all religious groups. "Baruch ha ba be Adoshem Adonai. 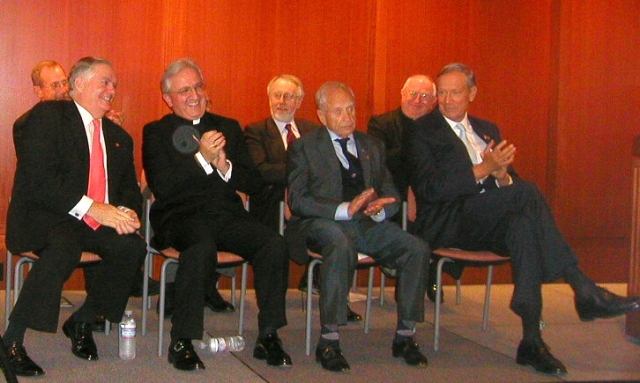 Blessed is he who comes in the name of the Lord"
Opening speakers left to right Gary Krupp President of PTWF, Archbishop Celestino Migliore, Vatican's Ambassador to the UN, Dr. Jerzy Kluger board member of PTWF and childhood friend of Pope John Paul II and Governor of the State of New York George E. Pataki. PTWF Board members Richard Kandel director, Elliot Hershberg Chairman of the board and Gary Krupp President of Pave the Way Foundation sponsor of the exhibit. A Blessing to One Another, Pope John Paul and the Jewish People was created and produced by Xavier University (Cincinnati), Hillel Jewish Student Center (Cincinnati), and the Shtetl Foundation in New York.